Return to yesteryear with this festive holiday scene! Celebrate yesteryear with this festive holiday scene, includes ice skaters, lights, a horse-drawn cart and the Winter Village Bakery! Last known price is 266% above the initial Lego retail price! 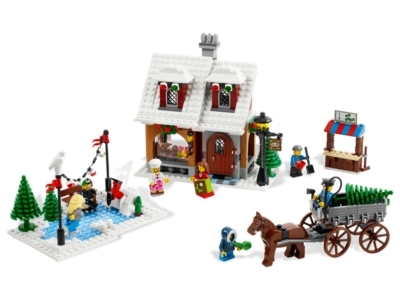 The Winter Village Bakery (10216) Lego set is no longer directly available from the sites below. However, 3rd party partners of these sites might still have the set available.